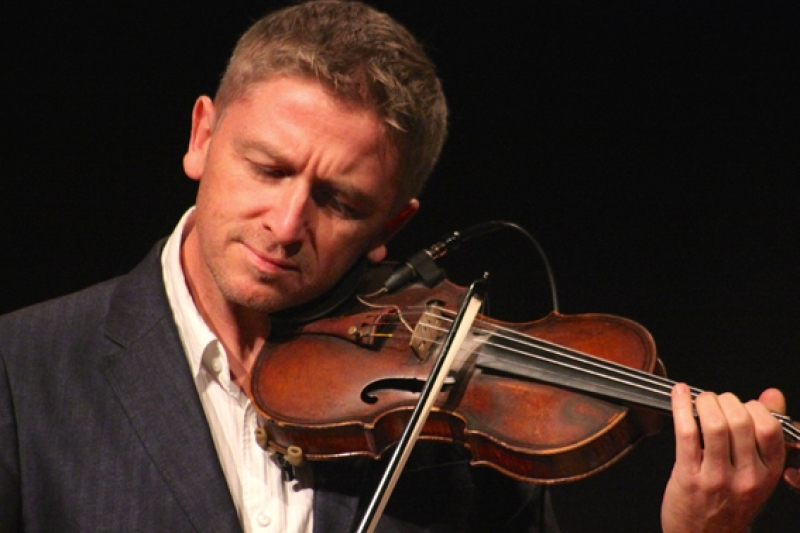 An award-winning jazz violinist of power and musicality, Chris Garrick joins us tonight with his classic quartet, featuring Chris’s long time musical compatriot David Gordon on piano and keyboards with Oli Hayhurst on bass and Tom Hooper on drums. The band beautifully supplement Chris’s inventive and totally absorbing approach to his instrument, performing a mix of standard and more contemporary material that is quite remarkable and definitely something to look out for. Taking his lead from Stéphane Grappelli, Stuff Smith and Jean Luc Ponty, Chris has virtually revitalised the jazz violin, rejuvenating it for the 21st century and prompting violin superstar Nigel Kennedy (with whom Chris has performed many times) to call him one of the best in Europe. His fluent and inventive playing has been heard with the likes of Wynton Marsalis, Dame Cleo Laine, Biréli Lagrène, Dolly Parton & Van Morrison and a string of awards are testament to a thoughtful but at the same time joyous approach to the music. He has appeared on dozens of recordings as leader or sideman, his CD “Different Strokes” named “Outstanding British album of the Year” by the Sunday Times amongst many other accolades. He also works extensively in film and television for composers such as Danny Elfman, Anne Dudley, Howard Shore and Rachel Portman and when not performing himself, is a professor of jazz and non-classical violin studies at the Royal Academy of Music, Royal College of Music and Guildhall School of Music and Drama in London. A must-see gig.